Two years ago, Nintendo was in trouble. The House of Mario had just released a brand new handheld system with impressive 3D graphics, but nobody seemed to care. Sales were sluggish and reception wasn't great. So they did something drastic: just six months after releasing the 3DS, Nintendo slashed the system's price from $250 to $170, shocking the gaming world. "Nintendo is screwed!" people would shout. "They'll never recover from this!" Don't look now, but they've recovered. And everything has changed for the Nintendo 3DS. Over the past two years, Nintendo's handheld has slowly morphed from national punchline to bona fide powerhouse. When it launched in March of 2011, the 3DS wasn't very compelling: sure, it was a pretty machine, but who wanted to pay $250 for a system that could play... what, Steel Diver? Two years later, buy the 3DS XL—an upgraded version of Nintendo's glasses-free 3D machine—and you can play some really good games in some really good series, from Kingdom Hearts to Super Mario to Professor Layton. And if you're feeling adventurous, you can hop onto the digital store and access a ton of weird, unorthodox, completely fascinating games, like Pushmo and Crimson Shroud. The 3DS's library is getting stronger and stronger. Look at this morning's Nintendo Direct presentation. Today we saw announcements of a great-looking new Mario & Luigi, a new Mario Golf, a Donkey Kong Country Returns remake, and a whole bunch of crazy downloadable games for the eShop, which is growing more and more impressive every month. These announcements were packaged with new details and info on already-announced games like Luigi's Mansion 2, Animal Crossing: New Leaf, and DLC for the excellent Fire Emblem: Awakening, which came out last week. Unless you only play first-person shooters, you'll probably find something appealing on Nintendo's glasses-free 3D machine. Keep in mind, Nintendo hasn't even come out with brand new original games in two of their biggest franchises: Zelda and Metroid. Major new 3DS games starring Link and Samus—which, as anyone who follows Nintendo knows, are inevitable—would continue keeping us attached to the pocket-sized system. The best video game systems are, quite simply, the systems that have the best games. In 2013, that's the 3DS. That's a lot of name-dropping, but the point is this: the 3DS is impressive, and continues to get more and more impressive as Nintendo does more and more to support it. While it's always fun to debate over console power and technical specs, the best video game systems are, quite simply, the systems that have the best games. In 2013, that's the 3DS. As Stephen Totilo has pointed out, the 3DS is worth getting just for Fire Emblem: Awakening, a wonderful game that is essentially chess on crack. But the 3DS is also worth getting because of what else is on there—Super Mario 3D Land is one of the best Mario games Nintendo has ever made, Zero Escape: Virtue's Last Reward was my favorite game of 2012, and Revelations might be the only Resident Evil game worth a damn since number four. Three or four years ago, the best game system on the market wasn't the Xbox or PlayStation: it was Nintendo's DS. Filled with puzzlers, platformers, RPGs, adventure games, and tons of series from tons of different genres, the DS was cheaper, more accessible, and more interesting to me than any other system you could buy. Games were $30-40, and developers seemed far more willing to experiment with crazy new ideas—like a Mario RPG in which you explore Bowser's stomach, or a visual novel that requires you to hold your system sideways to play. Over the past nine or ten years, I've bought more games for my DS than for any other system. The 3DS has followed the same path, and now it's booming. Sales are great—Nintendo says they've moved 30 million of the little buggers worldwide—and the machine has exceeded our expectations by a great deal. Maybe it was the near-death experience that did it. 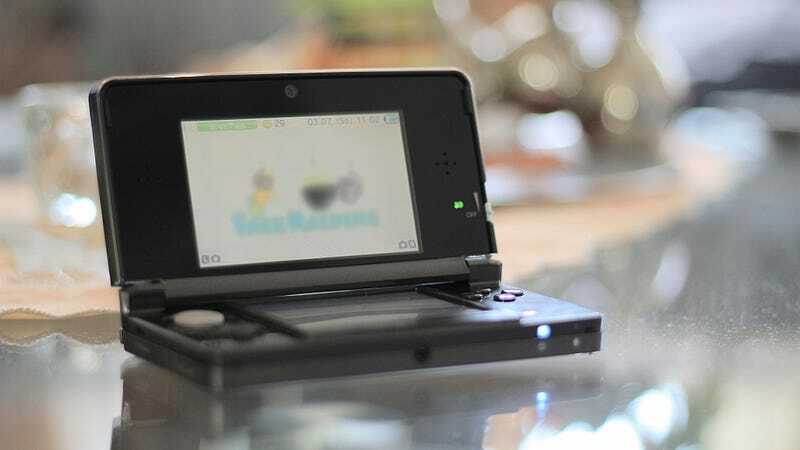 Back in the summer of 2011, when the 3DS was tanking and nobody thought it could keep up in a world of iPhones and Androids, Nintendo kept up the effort and kept fighting with their backs against the wall. They wisely decided to stop selling the 3DS as a 3D machine—a smart move, because people don't really care about 3D anymore—and instead reverted to the same approach that has worked for them for three decades now: making great games. Seems simple, right? Gimmicks and specs are irrelevant: a system with great games is a great system. The 3DS has great games. And it's a great system.